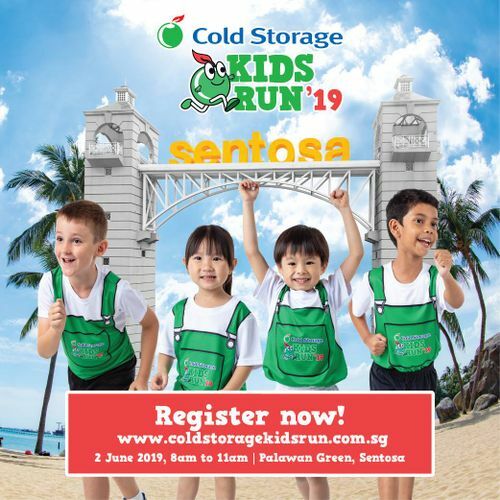 Cold Storage Kids Run is back again on 2nd June 2019, Sunday at Palawan Green, Sentosa! Join us for a day of fun-filled activities and events for the family. With plenty of fun and games to participate in throughout the day, there is something for everyone! Challenge your little ones in our competitive categories or participate in the stroller-friendly family run, a non-competitive category. Here is your chance to introduce your child to the world of healthy and active living while having an enjoyable day at the beach! Sign up now till 31st March 2019 to enjoy early bird specials! All participants will receive an attractive race pack worth over $100. What are you waiting for? Kickstart your weekend by registering now at Cold Storage Kids Run website.